Do you know how to celebrate Halloween like an American? Today, we discuss how Americans celebrate this strange holiday, and how learning English will allow you to celebrate Halloween all year! Halloween is a popular traditional American holiday. For many Americans, it is their favorite holiday. Among the many activities Americans engage in, the most important for celebrating Halloween is dressing up in a costume. Adults might dress up for parties, and kids might dress up for trick or treating. This is a chance to be somebody different and to reinvent yourself! Learning a new language can also allow you to take on a new personality. A new culture and language might mix with your unique personality to make you into someone 'different'. Speaking a new language is thus like Halloween all year! Do you celebrate Halloween in your country? Is learning English up to you? Today, we talk with Steve Kaufmann, founder of English LingQ about how your English learning goals are closer than you think! Is it correct to ask how much, or how many in English? Today, in #4 of the Top 15 Fixes series, we discuss using the words 'much' and 'many' when discussing quantities! It’s important to think of the meaning of the words much and many, and how each is used differently in counting. Do you have any examples for using much and many in your baking or cooking? Do you speak English like an American? Today, learn 3 ways to sound a little more like an American when you speak English! Do you plan for your priorities? Today we discuss how planning your day can help you accomplish your priorities! If you don’t decide how you’ll manage you time, someone else will. It’s simple to understand but easy to forget. Today we discuss a big mistake you’re making with "miss" and "lose" when you talk about missing the bus in English! If you take the bus or train, what do you say when you discover it has already come and gone without you? “I lost the bus,” is a common mistake. The problem with saying this is that it suggests you owned the bus, but no longer know where it is. A person can lose their keys or their wallet, but they can only lose their bus if they’re a bus driver! How do you talk about people in English? Is the word “people” plural or singular? Today, in #5 of the Top 15 Fixes, we discuss a mistake you might be making when you translate your native language into English – and how to fix it! In some languages, the word for “people” is singular. But it’s important to remember that, in English, this word is plural. Have you had trouble with the plural and singular of these words? Does it come from translating from your own language? Would you like advice from an expert English teacher? Today, we talk with Tony from italki.com about 3 outside-the-box ways to improve your English! Do you take time to reflect on your English learning? Today we talk about how spending 15 minutes on one specific action could save you hours of work later! Can you use your body to increase your confidence in English speaking? Today, learn what poses can make you more comfortable and powerful! Social psychologist Amy Cuddy says body language affects how we think, and how others think about us. When people are slouched and closed-in on themselves, they not only feel less powerful, but they appear less powerful to others. Consider: Are your shoulders slouched? Or are they back, with your chest open? Are you spreading yourself out physically? Are you smiling? Is your body upright? Stand with your arms up, legs spread out, shoulders back and chest out. Take up space and breathe deeply! If you can't do this at the moment, imagine you’re doing it, or do it in the bathroom before your important interview or presentation. You can even do it while talking on the phone. Yawn! By yawning, we are naturally bringing oxygen to our brain, which makes us feel more alert and confident. Have you tried power posing? AEE 201: Finally Solve Your Confusion with "Will" and "Going to"
When you’re talking about the future in English, should you use “will” or “going to”? Today, in #6 of the Top 15 Fixes, we discuss the correct way to tell others what you want to do, whether in the immediate future or many years from now! "Will" and "going to" are interchangeable in meaning, but native English speakers tend to use them for slightly different purposes. I will get married, eventually. 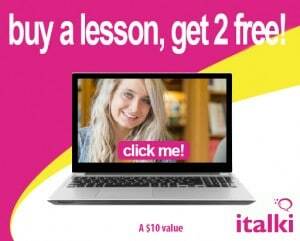 Visit italki now to claim your 10USD in free English lessons! These rules are general. Remember, there are exceptions, and native speakers can be inconsistent. The best way to learn is to get out and hear native English speakers, and use the language the way you hear it spoken. How should you talk about money in American culture? Today, we discuss what you should and shouldn't ask Americans about money! Americans tend to think it rude to discuss personal finances and financial decisions. This may be due to the basic American value of faith in an egalitarian society. But whatever the reason, money is a touchy subject, and questions about it alienate or even upset an American. Are you a perfectionist when it comes to learning English? If you are, then you are not alone! Today we have an awesome guest! Today Jun from Hapa Eikaiwa is here to talk about how you can beat this problem. Do you feel like you are afraid of making mistakes or that everything that you say has to be perfect? Jun has found that a lot of his students rehearse their sentences in their heads and can’t jump into a conversation and express themselves because of perfectionism. Do you think more than you talk? AEE 198: Are You an English Amateur or Pro? Are you an English amateur or a pro? Today we talk about the work from author Steven Pressfield and what it means for your English learning. The pro artist or English learner or entrepreneur will show up every day and will do the work. He will move past the thoughts that tend to make him get side-tracked. The pro is present in his studies and his work. He doesn’t repeat negative thoughts or make excuses. Are you a pro when it comes to learning English? He might make excuses for not being fluent in English. The amateur might decide that his lack of English skills is because he doesn’t have a good teacher, or good resources, or the right opportunities. Are you an amateur English learner? Can’t get corrected your English corrected by your native-speaking friends? Are you an English amateur or an English pro? Can you share a strategy to help other AEE listeners “turn pro”? AEE 197: Who Pays for Lunch When You're Out with English Speakers? Do you know who pays for lunch when you go out with English speakers? This might be a source of serious confusion for you if you are making the mistake of translating the word "invite" from your native language to English! Today you'll learn how to avoid one of the most awkward possible misunderstandings when you go out for lunch! Today is number 7 of our Top 15 Fixes to Tune up Your Porsche! You'll get your English mistakes corrected immediately! What does it mean when you "invite" someone out for dinner or for lunch? The verb "invite" just means to extend an invitation to someone to go out and do something together. It does NOT mean that you will pay for the person's meal. Are you translating this verb and its meaning from your native language into English? A lot of people make this mistake! In English when we invite someone to dinner we aren't sure who is going to pay. "Don't worry about it. I've got this"
How do you deal with paying for the bill in your culture? Is it ok to refuse when someone offers to pay for you or should you accept? How do you think your culture is different from American culture in this sense? Leave us a message in the comments and let's have a conversation! Do you want to maximize your English learning and get fluent in English faster? Today you'll learn how to maximize your English learning by using spreadsheets with Jane Lawson from Daily Step! You'll also learn two other very cool tips to speak English like a native. Americans love to use English slang. Would you like to sound more American when you speak English? Today we talk about four common slang combinations you can use to sound more like a native! As with other people and languages, Americans tend to bridge words and speak quickly. This can have the effect of shortening and even creating entirely new words. Should you do a free language exchange instead of an English lesson? Today, we discuss why this might be a mistake! Language exchanges are a big topic in language learning. They’re popular because they’re both fun and free. But they do have some downfalls and sometimes a real teacher is better. Do you borrow or lend to a friend in need? Today, in #8 of our countdown of the Top 15 Fixes in English series, we’ll be talking about the difference between these two similar verbs! You don’t want to let grammar get in the way of giving to or getting from your friends. But the verbs borrow and lend are tricky because they both mean to temporarily give — and yet they are different. The key to using these verbs is understanding that they follow perspective. Consider who is doing the giving, and who is doing the receiving. Lend focuses on the one who is giving (the one doing the action). Borrow focuses on the one receiving (the one upon whom the action is done). I asked her if I could borrow some money. I asked her if she could lend me some money. Did you borrow it from her? Did she lend it to you? Have you had trouble with borrow or lend? How do you make small talk in English interesting? Does it always have to be boring? Today we talk with Chris Colin about how you can generate great small talk! Can you get success by asking for it? Today, we talk about one surprisingly simple way to get what you want in your career and life! Don’t assume that you can’t have everything in life. A lot of times, you might be surprised what you can get by just asking. A good strategy is to find ways to negotiate a win-win situation out of something you want. Everything is negotiable and nothing is set in stone. Of course, what you’re asking for has to be reasonable, and you need to be able to support your request. If you are asking for something fair and not too bold, you may be surprised to get what you want. And if not, the very worst that can happen is you receive a No! Have you ever achieved success by just asking? How can you get fast English improvement? How about improvement in 24 hours? Today, we talk about how you can go from zero to a million in English in only 24 hours! We all want to be fluent and sound like a native speaker. But we all want it fast! What can you do to get you closer to your goal in only 24 hours? One thing is to break you bigger goal into smaller, actionable steps that you can actually accomplish. Think about all the little things related to your goal, and what you can do to make them work for you. Think small, but think hard. There are opportunities for improvement everywhere. Think also about how you can connect, whether it be to people or the language itself. What small connections can you find or make in a very short time? How will you get closer to your goal in 24 hours? Talking about your past, should you say did or have done? Today, in #9 of our countdown of the Top 15 Fixes in English series, we’ll be discussing how to handle past experiences and accomplishments in English! If somebody says, “I have done that,” how is it different from saying “I did that?” The difference can seem tricky but the key is the context. When using have done, you are zooming out, outside of yourself and to a big picture. You might be talking about your entire lifetime, or the distant past. When using did, you are zooming in to something more recent and maybe more simple. You may also be talking about a specific time period that is now over. Tell us some of your experiences or accomplishments in the comments section below! Can you be happy every day? If so, what does it take? Today, we talk with Michael about what you can do to live every day like a vacation! Are you an active English learner? Or are you waiting for us to give you better English skills? Today we talk about how improving your English is about what you do, not what we do! A teacher can only support you and give you the tools you need to help yourself. But improving your English is your responsibility! Never say “I hope you can improve my English.” Instead ask yourself, “How can I use All Ears English as a tool to improve my English? Do you want to speak English like a native? Today we chat with Drew Badger, host of English Anyone, about 3 tips to help you achieve fluency! We become fluent in our native language by connecting to others. Drew believes we should use the same behavior to get fluent in other languages. In other words, be a speaker, not just a learner! AEE 185: Are You Interested or Interesting Find Out the Difference! Are you interested, or interesting? Today, in #10 of our countdown of the Top 15 Fixes in English series, we’ll be discussing when to use the -ed and -ing endings! When talking about yourself or your feelings, use the –ed ending. "I am interested in music." When talking about others or something outside yourself, use the –ing ending. "That music is interesting." What do you find interesting, boring or amazing? What isn’t interesting, boring or amazing? Do you need a plan to learn English? Do you have so many learning resources you’re overwhelmed? Today we discuss why you need to stop trying to do it all and start creating an English plan! Sometimes life can make you feel "stuck" when you don't have the time or energy to do what you want to do. Stephen says it doesn't have to be this way, if you know how to get unstuck. Can you learn English like an entrepreneur? Today we talk with successful New York entrepreneur Kristy Oshita about how starting a business can compare to learning English! Entrepreneurs must to work at least as hard as English learners for success. They have to know how to use their time, focus their energy and maintain their sanity. The English future tense can be tricky. Today, in #11 of our countdown of the Top 15 Fixes in English series, we’ll be discussing the most common mistake with the future tense of English! Native English speakers often break grammar rules – did you know that? Today we discuss six common ways native English speakers mistakenly speak their own language! Language creates culture, and people talk the way they want to be seen. Sometimes this means being loose with the language, whether using slang or speaking in a way that is more comfortable than right.